Netanyahu turns to Iran's most powerful ally in an attempt to prevent a 'bad deal' in nuclear talks. Israeli Prime Minister Binyamin Netanyahu took off on Wednesday for Russia in a last-minute bid to sway an emerging deal with Iran over its contested nuclear program. An AFP correspondent said the Israeli premier did not deliver any remarks before his plane taxied ahead of taking off shortly after 0700 GMT. Netanyahu is to meet Russian President Vladimir Putin at the Kremlin on Wednesday evening to voice his concerns about the deal being hammered out at talks in Geneva. Russia is a member of the P5+1 group - alongside the United States, China, France, Britain and Germany - which has been struggling to reach a deal to freeze or curb Iran's nuclear activities in exchange for some relief from international sanctions. Israel is staunchly opposed to the mooted interim agreement, insisting it will give Iran vital sanctions relief while failing to halt Tehran's alleged march towards a "breakout" nuclear weapons capability. The Prime Minister's trip to Russia comes on the heals of a visit by Israeli Economics and Trade Minister Naftali Bennett to the US, during which he explained the dangers of a "bad deal" arising from the talks. The P5+1 will meet with Iran on Wednesday in Geneva for talks on the program, which Israel and the West suspect is aimed at developing a weapons capability but Tehran insists is entirely peaceful. The last round of talks with Iran that ended on November 10 came close to a framework agreement that supporters say would "buy time" for negotiating a comprehensive deal. But opponents of the deal - including Israel and France - insisted that only the Iranians would benefit from an interim agreement, claiming it would allow the regime to stall for time and continue developing its capabilities. Moscow has expressed hope the differences could be ironed out, with Putin telling his Iranian counterpart Hassan Rouhani on Monday that "a real chance has now emerged for finding a solution to this longstanding problem." Israel's deputy foreign minister, Ze'ev Elkin, said Israel did not expect a radical change in Moscow's stance. The Kremlin is one of Iran's staunchest allies. "Russia is not about to espouse the Israeli position," he told public radio ahead of taking off to Russia with Netanyahu. "But any small budge could influence the whole process." 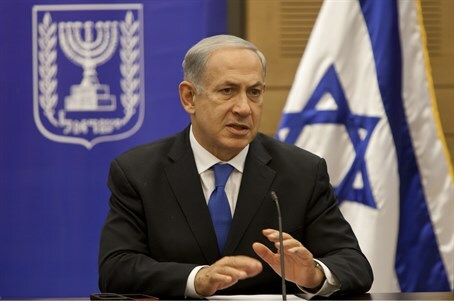 Israel has refused to rule out military action to halt Iran's nuclear drive. Washington has also insisted it will strike if necessary to prevent Tehran from developing a nuclear weapon. Netanyahu's trip to Moscow also comes as Russia's influence in the Middle East - until recently eclipsed by that of the US - has seen something of a renaissance. Many traditional Arab allies of the US have viewed the Obama administration's policies in the region with growing concern. US prevarication over the Syrian regime's alleged use of chemical weapons back in August, coupled with Washington's apparent pursuit of a hasty detente with Tehran and indecisiveness over the ongoing political turmoil in Egypt are being viewed as a sign of weakened American resolve. A recent historic visit to Cairo by Russia's Foreign Minister Sergei Lavrov, during which he held high-level meetings with Egypt's defense minister, illustrated how the Russian administration is seeking to capitalize on that perception.